Australia has a range of airlines that fly nationally and internationally, and suit a range of budgets. Read about some of the more popular airlines below or if you’d like advice on which is the airline for you, get in touch with our team of migration experts through our dedicated 24/7 helpline. Nicknamed ‘the Flying Kangaroo’, Qantas has the largest fleet in Australia. 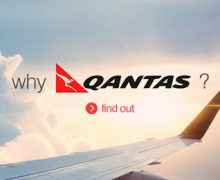 The name originated from the acronym QANTAS, which stands for Queensland and Northern Territory Aerial Services (though the airline has long since serviced all of Australia and many overseas destinations). Virgin has the second largest fleet in Australia and is part of Richard Branson’s multinational Virgin Group. He (or a cartoon version of him) often features in the safety announcements at the start of the flight. Owned by Qantas, Jetstar has been operating since 2003. Virgin Australia established Tiger Air in 2007. All of the Australian states and territories have their own quarantine so be extra careful when you’re travelling with food. Fresh foods, vegetables or meats can’t be brought into the country unless within special guidelines. Some states and territories also have special restrictions so always check ahead. If you can’t live without a certain packaged food item then make sure it’s in an unopened packet and has a clear ingredients list. Also, if you’re travelling internationally then make sure you declare any food items as there are pretty hefty fines if you don’t declare them. It’s always a good idea to have travel insurance for any incidentals that might happen while you’re on the go. Also, if you’re travelling from a country that’s part of the Commonwealth Australia has a reciprocal agreement with some countries for healthcare so check with your local government what care you might be entitled to.